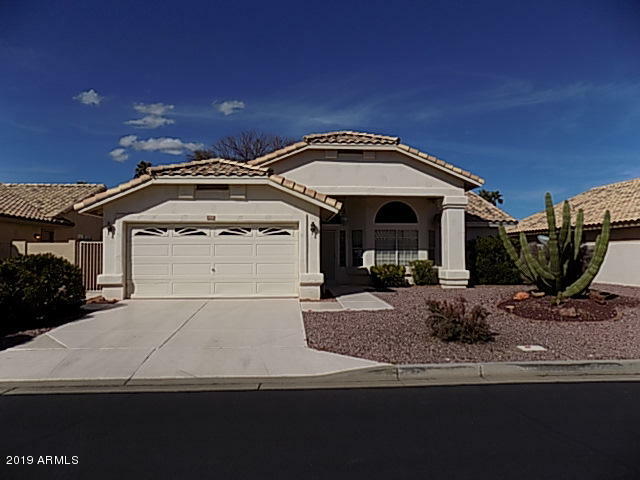 All SHAWNEE VILLAGE LOT 7001- homes currently listed for sale in Surprise as of 04/23/2019 are shown below. You can change the search criteria at any time by pressing the 'Change Search' button below. "Retired or retiring soon? 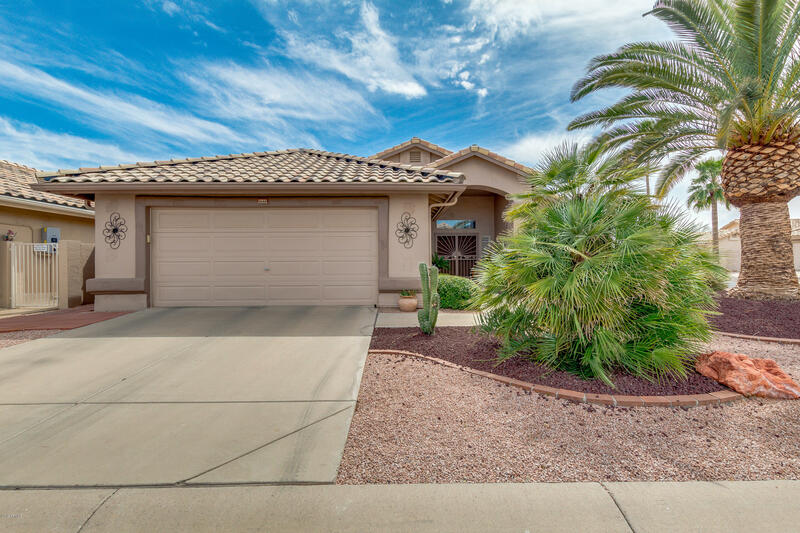 Looking for the perfect place to enjoy the sunny Arizona climate and lifestyle? Then Sun Village is the place for you! This beautiful home comes with a guest casita. High ceilings and open living space. The bright open eat in kitchen features tons of cabinets, double oven & elec cook top. The master has exterior access & a spa like bath. Enjoy upgrades like 1 year old roof, diamond set tile floors, corian counter tops, central vacuum, water softener & reverse osmosi"
"Beautifully upgraded Monterey model on a spacious corner lot - with POOL! 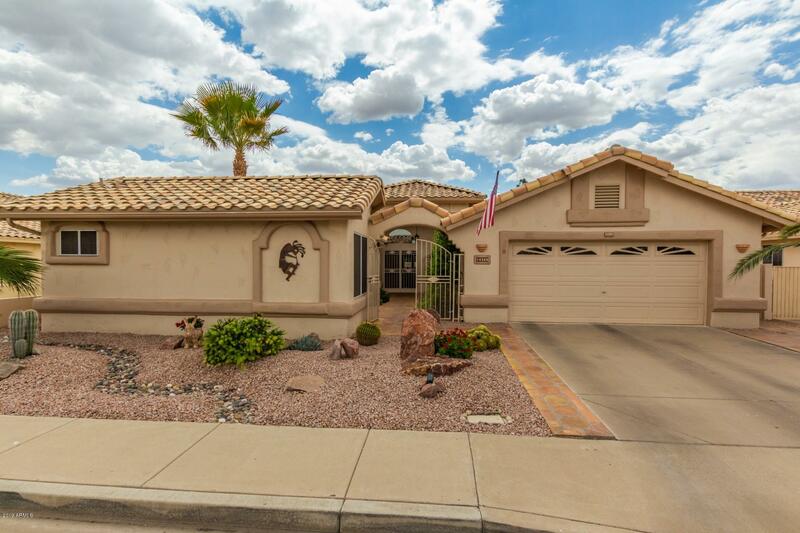 Located in the gated, age restricted community of Sun Village, a convenient and popular area of Surprise. Vaulted ceilings make rooms light and bright; decorator paint, tile flooring, and plantation shutters give a custom look. Remodeled kitchen with beautiful IKEA cabinets, quartz counters, stainless steel appliances, for a sleek look that adds tons of storage. Master bath has double vanity with vessel sinks and pull out "
"This 55 + community HUD home, is a great find in a quiet neighborhood of beautiful Sun Village 2 bedrooms, 2 baths and a 2 car garage. Large open living room, great size kitchen and lots of cabinets. Pleasant desert design back yard. A very well maintained home that experienced only light use. Potential purchasers must make an appointment with a Real Estate Agent/Broker of their choice in order to view a property active on the market."